HomeResourcesHow is everyday health system resilience influenced by mid-level managers? RESYST researchers are embarking on a new, exciting phase of ourlearning sites research in Kenya and South Africa. The work aims to deepen our understanding of health systems, chronic stress and everyday resilience, including how mid-level manager leadership practices, organisational relationships and their underpinning values influence health system resilience. In the health system, everyday resilience relates to the ability of district health system actors to maintain service delivery in the face of constant challenge and strains, by drawing on a combination of managerial strategies and organisational capacities. Leadership is particularly important in everyday resilience and is exercised by managers throughout the district health system. Leadership enables others to face challenges and achieve results under complex conditions, by using values such as respect, inclusivity and empowerment of others to be decisive and innovative in response to challenges. Although leadership initiatives have attracted significant investment over the past decade, there has been limited research on, or evaluation of, this investment. Investigations are needed into how district manager leadership practices, organisational relationships and their underpinning values influence health system resilience. Research will take place in three established learning sites in Kenya (Kilifi district) and South Africa (Mitchell’s Plain sub-district and Sedibeng district). Learning sites are long term collaborations between research teams and health system actors. 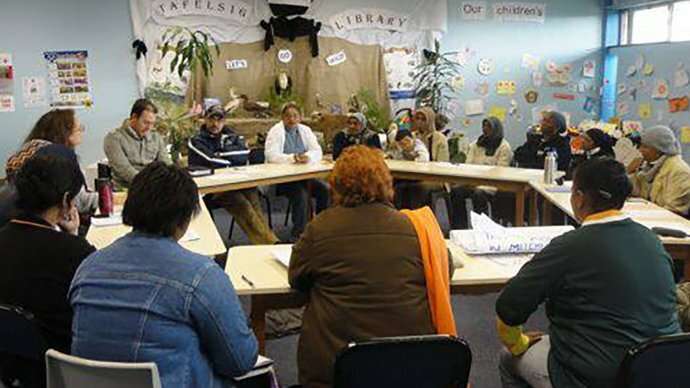 Whilst activities that take place in learning sites vary across context and time, there is a common approach that builds on action-learning methods including collective enquiry, qualitative and participatory research methods and reflective practice. Leadership development activities have been initiated in all three sites. These activities aim, in particular, to strengthen ‘soft skills’ among leaders and include coaching initiatives, training in communication with colleagues and emotional management. These activities will be adapted, amended or extended as part of the research. What is everyday health system resilience and how might it be nurtured?